New template for Kunena has been unleashed! 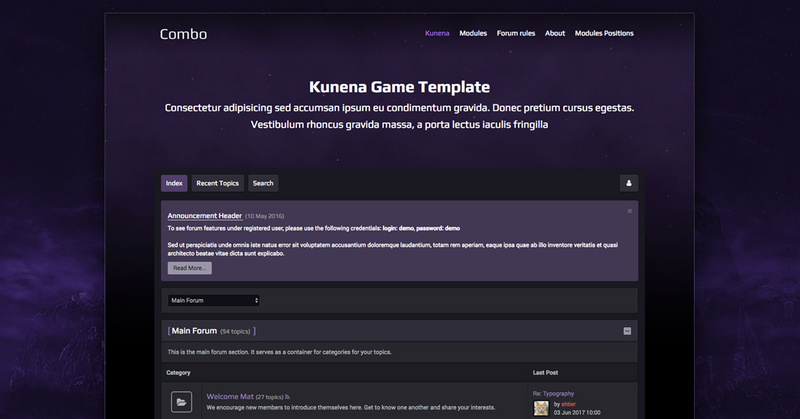 RND KCombo is a dark template and is best for game forums. It is also can be used in a lot of sites related to cinema, gaming, book forums and other. RND Kcombo continues series of templates for Kunena 5 from RoundTheme. 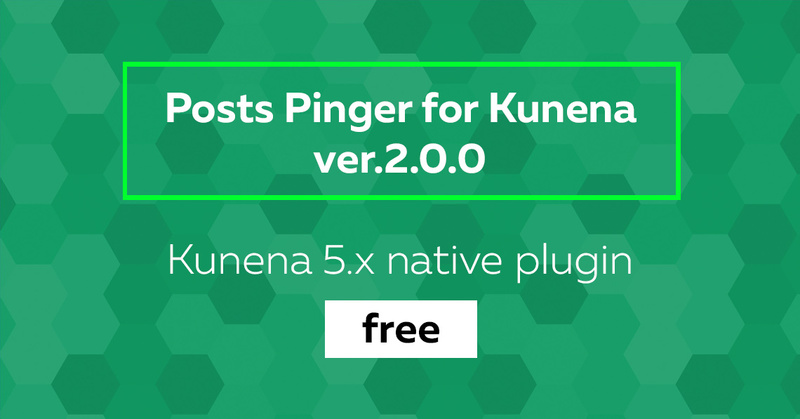 Today we have released new version of Posts Pinger for Kunena plugin. It pings new posts to blog servers which speed up the pages indexing and increases SEO effect. Now the plugin is Kunena 5 native and distributues as a free product! Today we have released new template for Kunena 5 called RND Kgurman. This template has embodied an idea to make a creative design and comes with an extra feature allowing to display images in categories which enrich your design immensely! 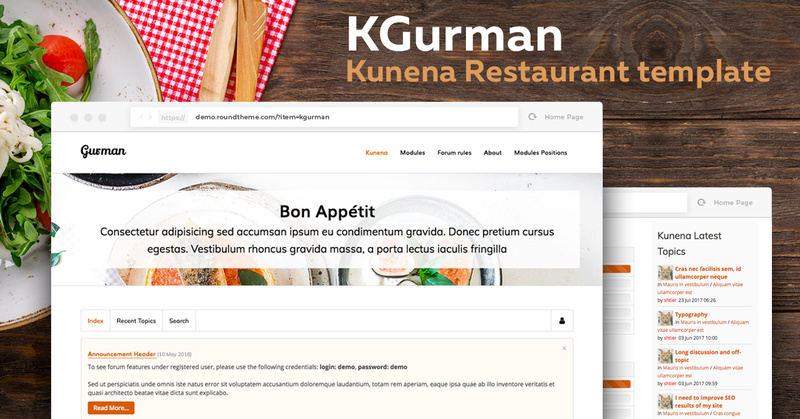 RND Kgurman is ideal for restaurant, cafe and other forums which this template can be easily adapted for. 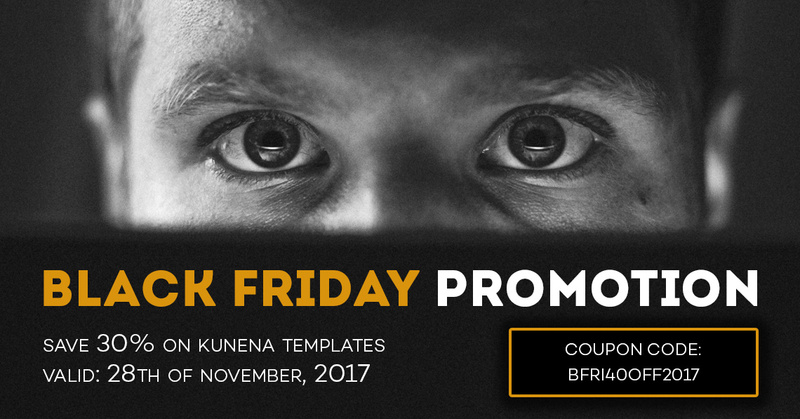 Black Friday is coming and we have prepared special discount that will not leave you indifferent: hurry to get 30% off on all Kunena templates and get coupons from our partners. 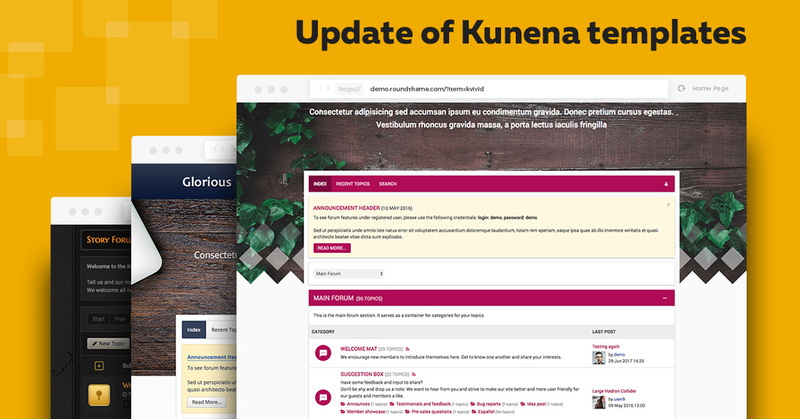 We are hurry to announce an update of the following templates for Kunena 5: Kglorious, Kinstance, Kvivid and Kminimal. The update includes fixes of all issues that were discovered in earlier versions and comes with the new parameter. It is recommended to update the template.